To activate access and to create your personal account, you will need your Elsevier Customer Reference Number. Your Customer Reference Number can be found on the mailing label of the paper issue of the Journal of Veterinary Cardiology. Enter your Customer Reference Number here. After entering, click on "submit". You will then be asked to either log in using an existing profile (if you were a member before the current year) or to set up a user profile. If you set up a new profile, you will be asked to fill out a form and choose a password. A username will be assigned. Both username and password will be case sensitive. After registration you can directly login with your new username and password. Note - please do NOT use special characters, such as ?, ! when entering your personal details into the profile form. Once you have set up a profile and registered your username and password, you will be able to access all issues of JVC online. You will be required to log into the site with your username and password (in the upper right corner). If you have concerns about receiving your hard-copy JVC or need to change your mailing address for JVC issues, please contact Elsevier's Society Liaison as instructed above. 1. Updated member lists are sent to Elsevier monthly. Therefore, new members' information will not be supplied to Elsevier immediately. 2. To ensure receipt of all issues of the journal for a given year, membership dues must be paid by April, so that the mailing list can be submitted to Elsevier. 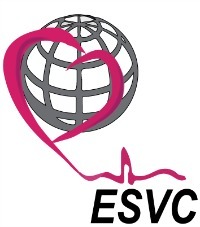 Late subscription to ESVC may result in fewer journal issues being mailed to the member or a delay in journal receipt.